Drawing on AARP's deep wellspring of expertise in the topic, AARP's Caring for Your Parents offers both sensitive counsel and a practical road map through the complex emotional terrain many of us face as our parents age. This eye-opening book guides readers through a new, creative approach to caregiving that turns familial duty into a journey of emotional development and resolution. Based on a 32-page National Magazine Award-nominated special feature, "Caring for Your Parents" documents the innovative ways that real people cope with this age-old issue. 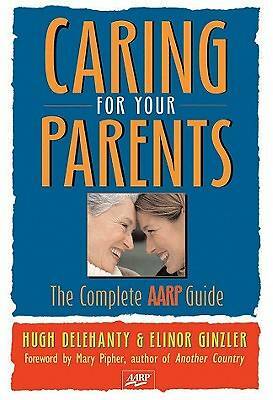 Throughout the book you will find useful, field-tested recommendations from AARP's staff of experts. Topics explored in depth run the gamut from locating quality health care and dealing with the bureaucracy of Medicare to avoiding consumer scams, organizing caregiving from afar, and planning the disposition of an estate. There are tips on designing your parents' house to make it more elder-friendly, navigating the hidden dangers of assisted living, and dealing with the invisible sibling issue. A resource guide in each chapter lists help lines, websites, and consumer action groups. Thirty million Americans are looking for a new, more effective approach to eldercare. "Caring for Your Parents" is the answer.